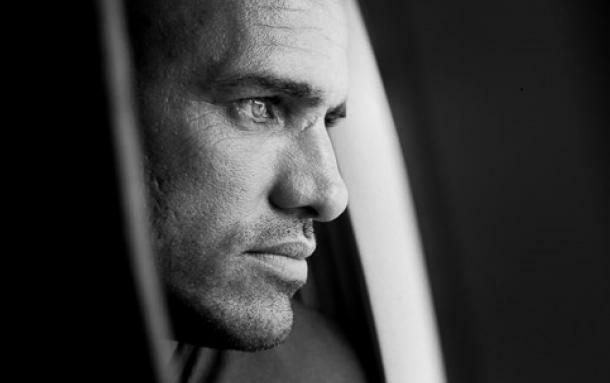 As part of their five-year partnership, Centre for Sustainable Fashion (CSF) at London College of Fashion (LCF), UAL, and Kering, a world leader in luxury apparel and accessories, will welcome Kelly Slater, world surfing champion and founder of menswear brand Outerknown, as their main guest at the 2015 Kering Talk on 3 November 2015. During the event held at London College of Fashion, UAL, Kering and CSF will reveal the two winners of the Kering Award for Sustainable Fashion, following a cross-disciplinary contest for students of LCF. The event will also mark the launch of the second year of the Kering Award for Sustainable Fashion, and year 2 of the Masters level “Sustainable Fashion” course, jointly developed by Kering and LCF. Following the inaugural talk by François-Henri Pinault, Chairman and CEO of Kering, in 2014, Kelly Slater, founder of the sustainable menswear brand Outerknown, will this year share his beliefs and vision for sustainability within the fashion industry. Kering and Kelly Slater share the same commitment to sustainability and recognise its crucial role for the future of fashion as well as for businesses in general. Kering and Kelly Slater further believe in the importance of engaging and encouraging young talents to put sustainable practices and thinking at the heart of their professional development. Moderated by Todd Hymel, CEO of Action Sports Brands at Kering, this Kering Talk will be an opportunity for LCF students, industry professionals and experts alike, to learn more about Kelly Slater’s experience as an entrepreneur willing to put sustainability at the forefront of his business. “I believe that it is vital for our future that businesses build sustainable practices into the core of their development. Sustainability starts with transparency and I hope that through the Kering and London College of Fashion, UAL partnership we are able to create change in the fashion industry from the ground up. I am honoured to share my story and experiences with the students here tonight and encourage them to all join Kering and Outerknown on our journey toward sustainability,” says Slater. On the same day, Kering and CSF will also reveal the winners of the first Kering Award for Sustainable Fashion contest. Following an initial brief under the topic of “the positive fashion product”, over 160 applications were submitted by LCF students across all disciplines, resulting in a final shortlist of 30 projects. Selected students were given the opportunity to work and improve their projects through a personalised mentoring scheme consisting of training sessions by professors from LCF and one-to-one coaching by experts from the Kering brands. The winners of the annual contest were selected by a jury consisting of members from Kering leadership teams, brands Alexander McQueen and Stella McCartney, as well as LCF’s Head of College and CSF’s Director. The two awarded students from LCF’s Centre for Sustainable Fashion will each receive a €10,000 grant for their work, as well as an internship opportunity within Alexander McQueen or Stella McCartney. Luxury brands Stella McCartney and Brioni will host next year’s contest. The event will also mark the beginning of the second year of the sustainability Master’s course, an innovative curriculum co-developed and co-delivered by Kering and CSF at LCF. For its pilot year, the module gathered 40 students across various disciplines, from fashion design to business and media. Through active learning, the involvement of a multitude of experts from Kering, LCF as well as external industry professionals, the course has succeeded in raising students’ awareness on sustainability challenges within the industry and provided them with practical know-how to apply at every step of the creative process. The co-created curriculum is a one-of-a-kind opportunity for CSF to trial new methods of teaching and learning that put our world’s shifting needs first. Centre for Sustainable Fashion (CSF) is a Research Centre of the University of the Arts London based at London College of Fashion. Its work explores vital elements of “Better Lives” London College of Fashion’s commitment to using fashion to drive change, build a sustainable future and improve the way we live. Established in 2008 by Dilys Williams, and actively supported and enabled by Head of College Professor Frances Corner OBE, CSF’s starting point was human and ecological resilience as a lens for design in fashion’s artistic and business practices. CSF was devised to question and challenge reactionary fashion cultures, which reflect and re-enforce patterns of excessive consumption and disconnection, to expand fashion’s ability to connect, delight and identify individual and collective values. The CSF has grown to be a diverse community of world leading researchers, designers, educators and communicators with an extensive network that crosses disciplines, generations, cultures and locations, enabling them to: create internationally acclaimed research, set agendas in government, business, and public arenas and pioneer world relevant curriculum. Founded by eleven-time world champion surfer, Kelly Slater, Outerknown is a menswear brand established from an understated approach to design and an overstated approach to quality, cloth, and consciousness. Acclaimed menswear designer and Outerknown creative director John Moore, has worked alongside Kelly to create contemporary menswear pieces imagined through a surfer’s lens. The concept aims to blend style, function and sustainability with the intent to protect our natural resources and inspire change within the fashion industry, in a way that has never been done before.